Cloud and digital transformation means that your critical business applications increasingly rely on infrastructure, networks and services that you don't own or control. Yet, as an IT Leader you still own the user experience. 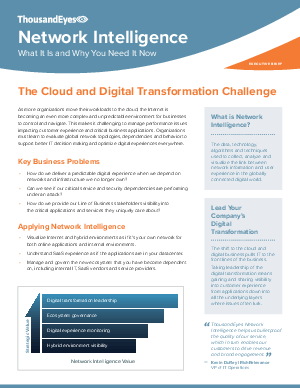 Read how Network Intelligence equips your team to deliver predictable digital experience in the cloud era.